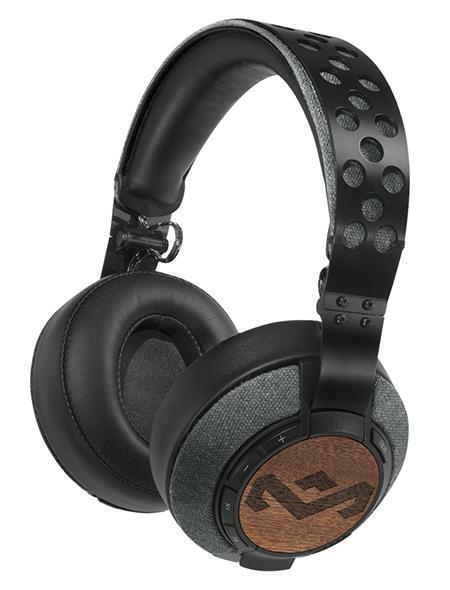 These over-ear headphones boast a powerful bass and stunning stainless steel detail. The 50mm dynamic drivers with neodymium magnets provide a 12 hour playback time. You can use the in-line mic with a three-button controller for hands-free calls and easy music control. The soft ear cushions are comfortable and have durable fabric-braided cables for tangle-free cords. Available in Midnight and Saddle colors.